Leaks are always hardest when they hit at home. Now we know how Apple feels. The party responsible for the leak has been penalized severely (whipped with wet spaghetti), so believe us when we say this kind of thing won’t ever happen again. Anyway, so long as the cat’s out of the bag, we may as well give you a few more pics. 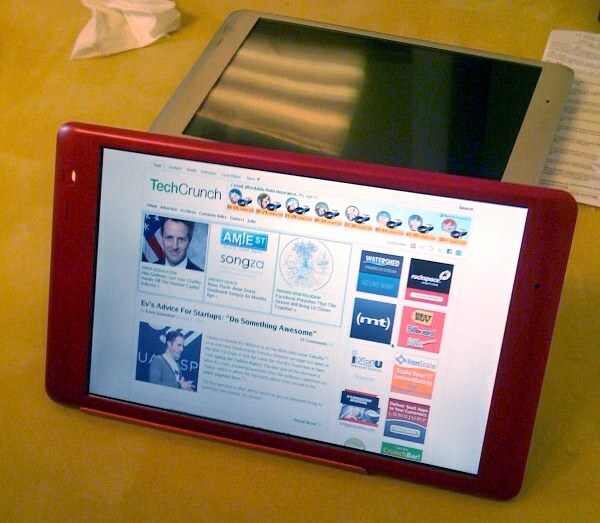 What you see is a prototype, equipped with an Intel Atom processor and a 12″ capacitative touchscreen. Looks a little different than it did last time, doesn’t it? Doubters, feel free to eat your hats at this point. It’s real and it’s spectacular. We’ve got more pictures than the other guys, and we’ll have video and more specs as soon as we can. As for more details, they’re in flux or double-top-secret at the moment, but you can expect a full disclosure during the next week, along with video of the new text input and all that other good stuff. Look at this wonderful little thing. Who wouldn’t want one in their home?